What is the goal of this research? This research study has two main goals. 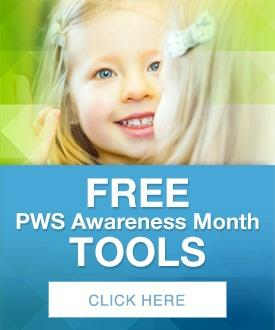 Examine social, cognitive, and emotional behaviors in children with Prader‐Willi Syndrome and compare them to children without PWS in order to understand strengths and challenges in social communication in PWS. Evaluate the feasibility of a parent training and education program designed to increase learning and play between parents and children with PWS while decreasing problem behaviors. We are currently recruiting children 3‐5 years of age with PWS and their parent/primary caregiver. What will happen if my child and I participate? If you and your child decide to participate, your child will undergo assessments that will measure cognitive, social, and emotional abilities. During this time, you (the parent or caregiver) will be asked to report on your child’s social, emotional, and behavioral functioning. Children and parents will be video recorded during play sessions for data analysis at a later time. You may be asked to participate in the PRETEND parent training program. This program involves participating in twelve 30‐45 minute sessions delivered twice a week for 6 weeks via remote interface (a combination of teleconferencing and phone calls). These sessions are customized to each participant and their child. Sessions will focus on building strategies to structure play, engage your child in play, decrease problem behaviors, and build emotional, social, imagination and communication skills in your child. At the end of the 6 week intervention period, even if you have not participated in the intervention, you and your child will be asked to complete another set of assessments and reports relating to your child’s social, emotional, cognitive abilities, and the success and feasibility of the training program. There is no guaranteed benefit to you or your child by participating in this research study. Your participation in this research may aid in understanding of how interventions could impact parent child interactions in a positive manner, how social functioning in PWS could relate to other disorders, and whether parenting interventions would be beneficial to the PWS community. Who do I contact to get more information? For more information, please contact Anastasia Dimitropoulos and the PRETEND Research Team at neurodevelopmentresearchlab@gmail.com or 216‐368‐3471. This study is funded by FPWR. No matter how big or how small, every effort helps us!